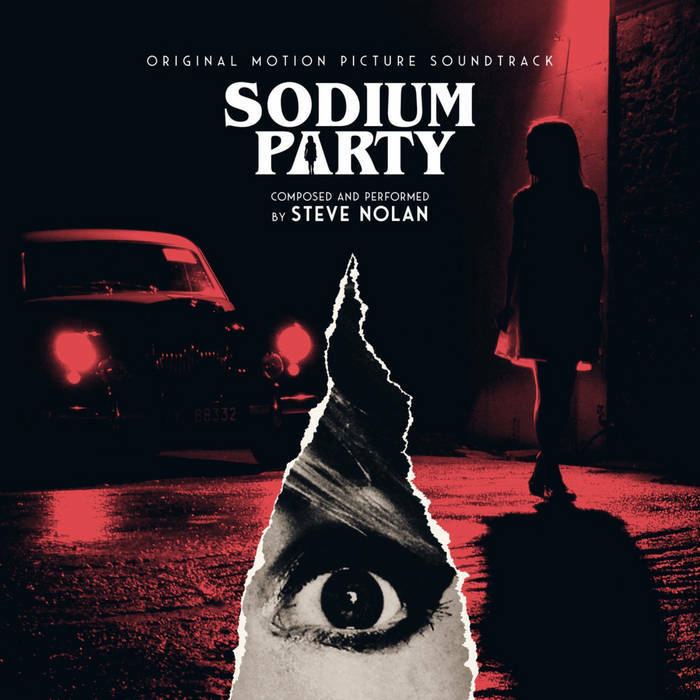 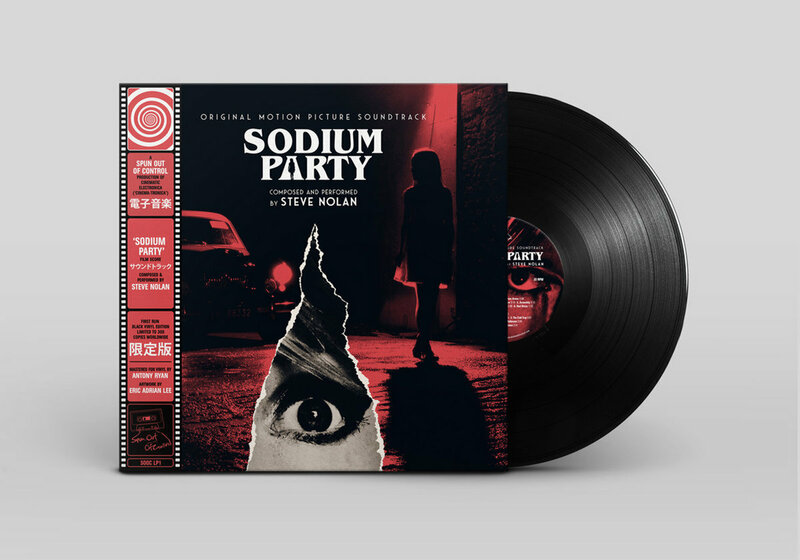 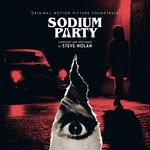 First ever vinyl release of this acclaimed score to Irish horror film Sodium Party - specially mastered for vinyl by Antony Ryan, and brand new cover design by Eric Adrian Lee. 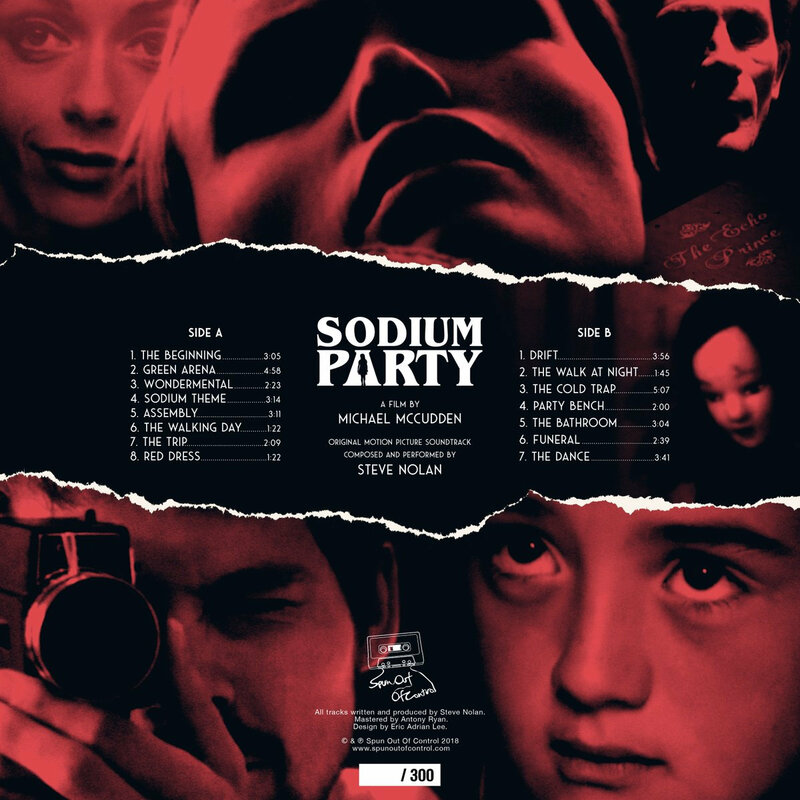 Hand numbered limited edition. 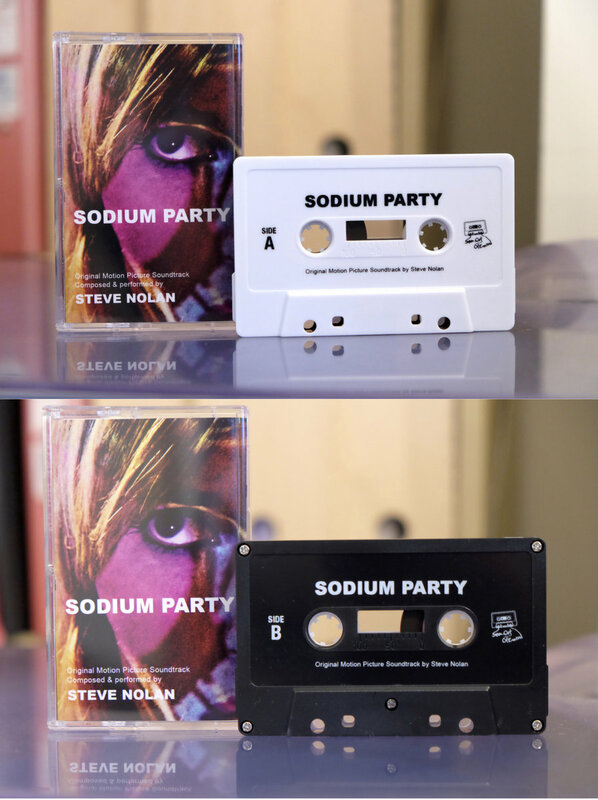 Features removable Japanese style OBI strip, designed to look like a roll of film. 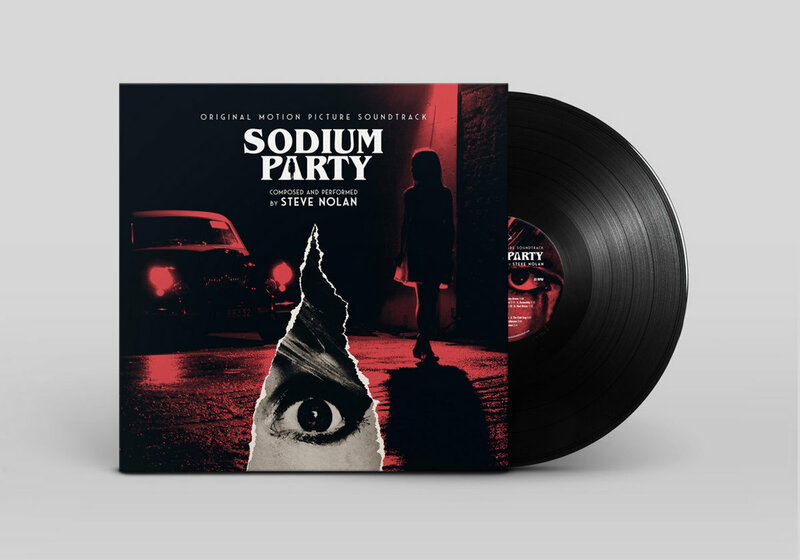 Freshly mixed and remastered version of composer Steve Nolan's spine-tingling synth and piano score to the Irish horror movie, to accompany the 2018 vinyl release. 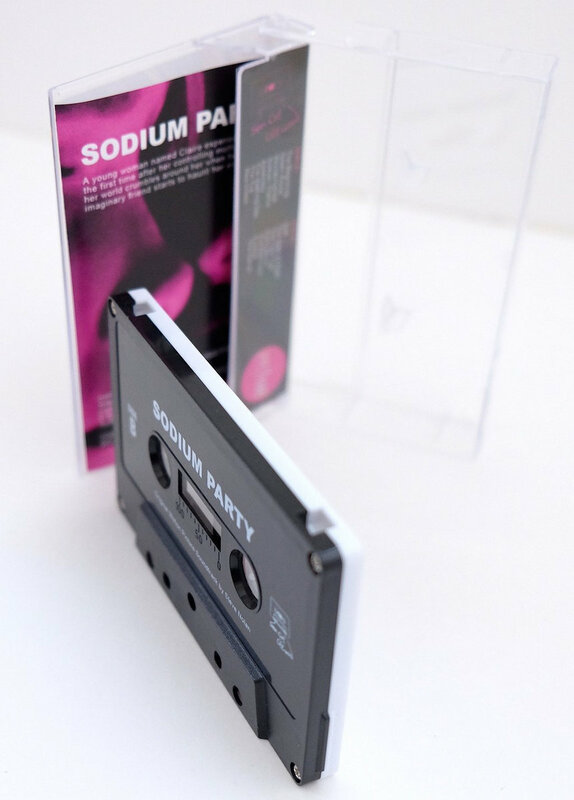 Professionally dubbed & imprinted cassette with artwork exclusive to this release & specially commissioned design by Eric Adrian Lee (Mondo/DeathWaltz/Giallo Disco). 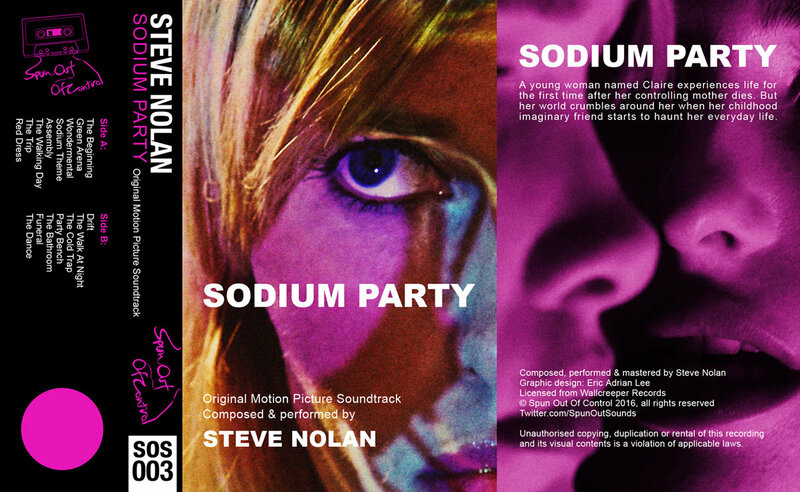 All tracks by written and produced by Steve Nolan.